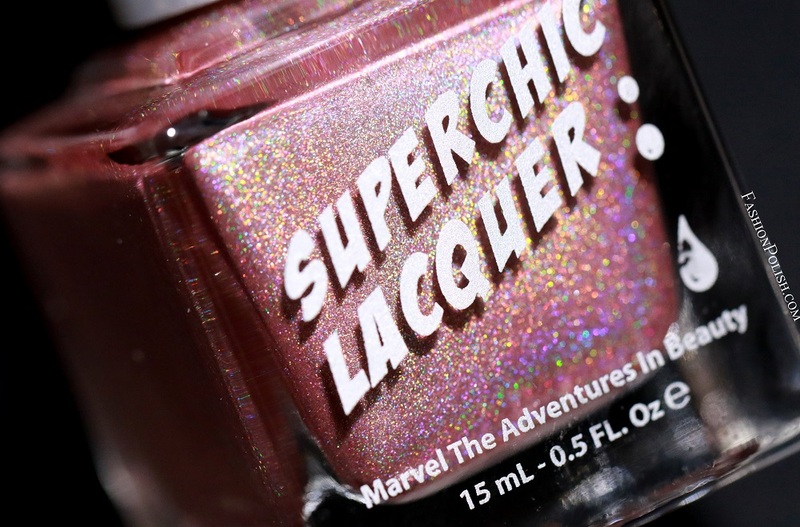 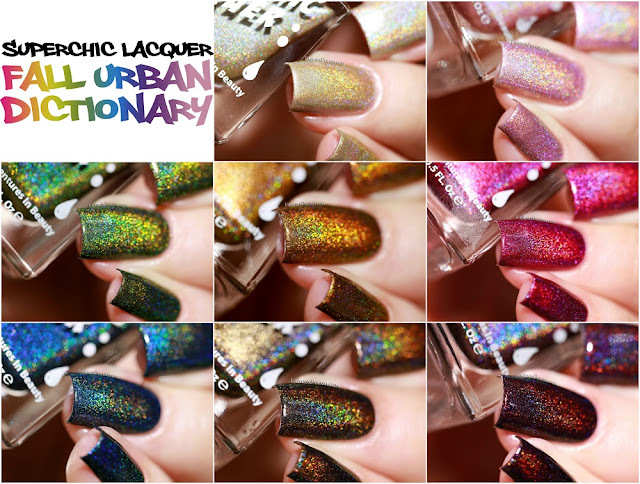 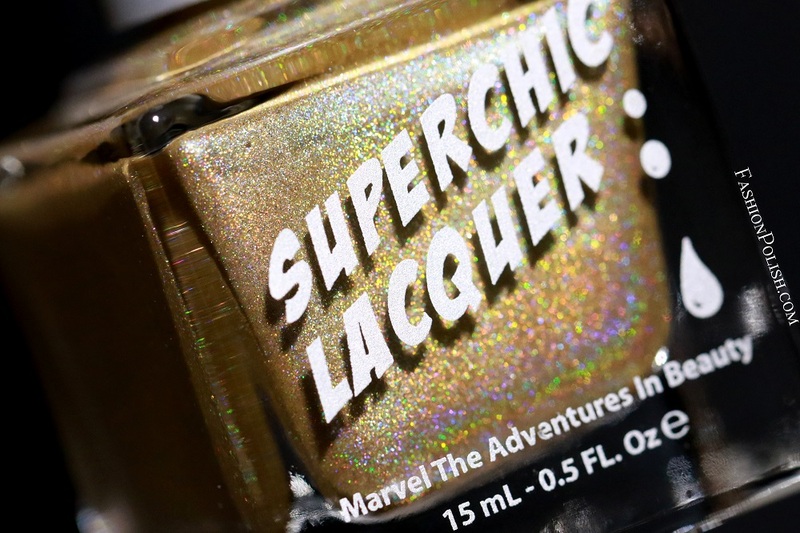 Fashion Polish: Superchic Lacquer Fall Urban Dictionary collection swatches & review! 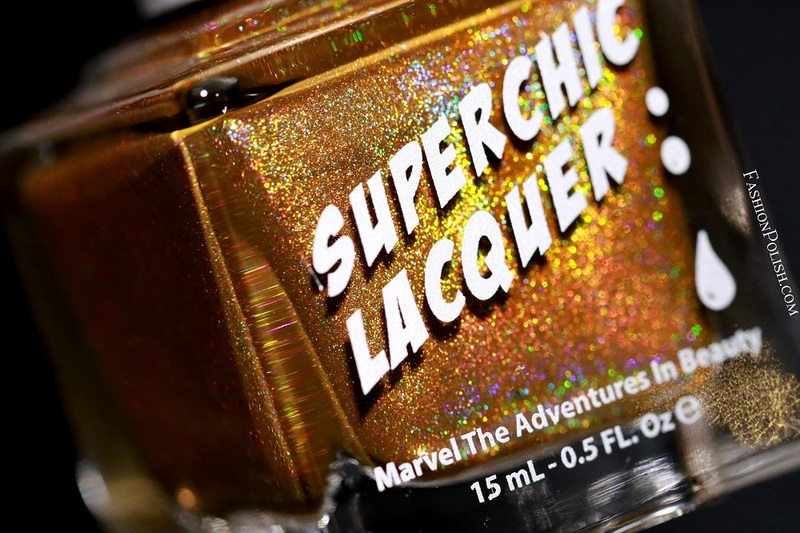 Superchic Lacquer Fall Urban Dictionary collection swatches & review! 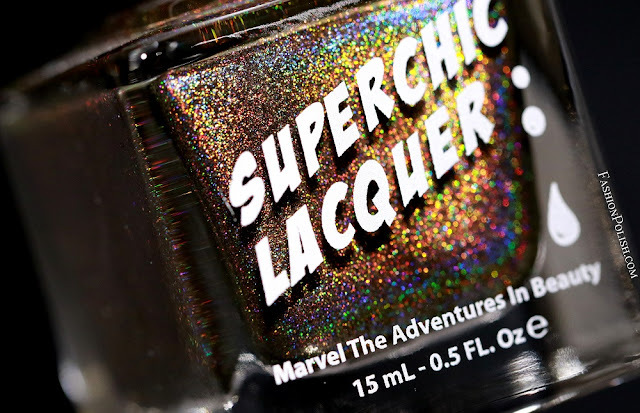 Anyway, among my weekend swatching is the upcoming Superchic Lacquer collection : the Fall Urban Dictionary collection, a set of 8 ultra pigmented linear holos with the Superchic Lacquer one-coat holo formula. Wonderwall is a champagne linear holo. 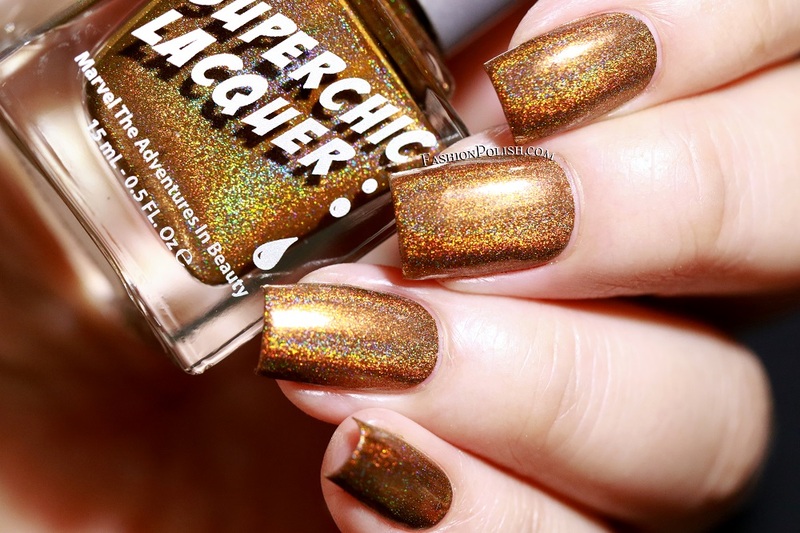 Great formula and application. I used one good coat in my swatches below but a second coat might be necessary depending on your nail length and application technique. 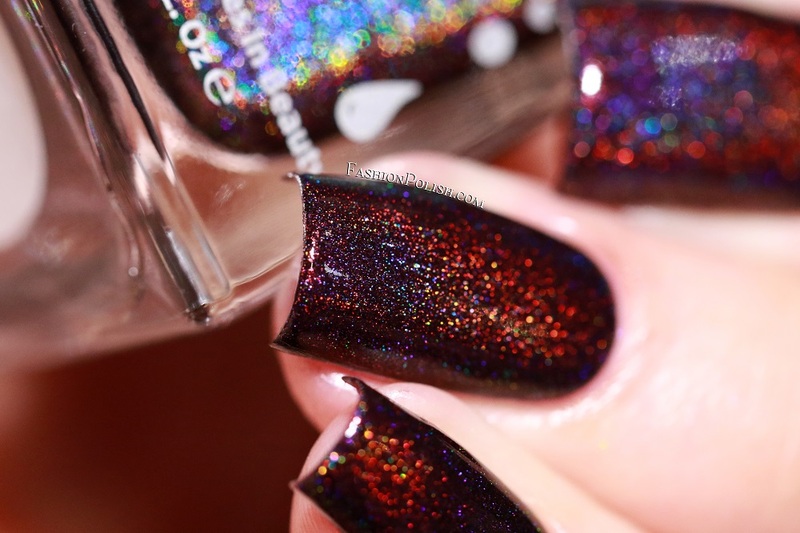 Rum-Billie is a vibrant rum linear holo that literally glows! 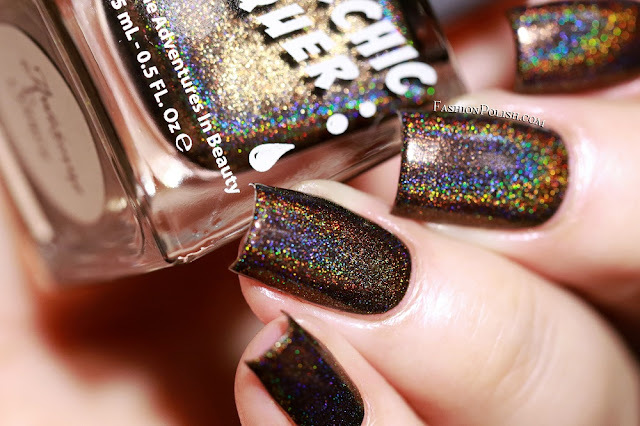 Ultra pigmented, I used 1 single coat for complete coverage. Awesome Sauce is a deep chocolate linear holo with a warm hue. Again, great formula and application. One coat was used below. 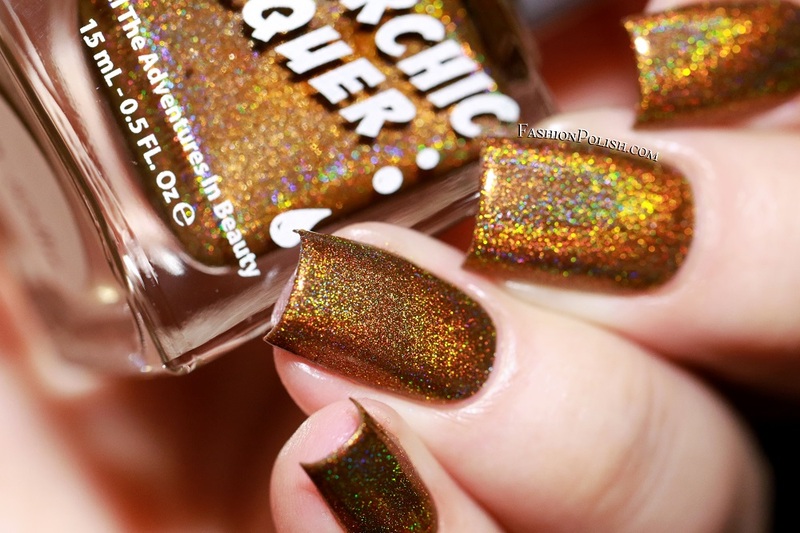 Rosebuddy is a rose linear holo with a gold shimmer flash. 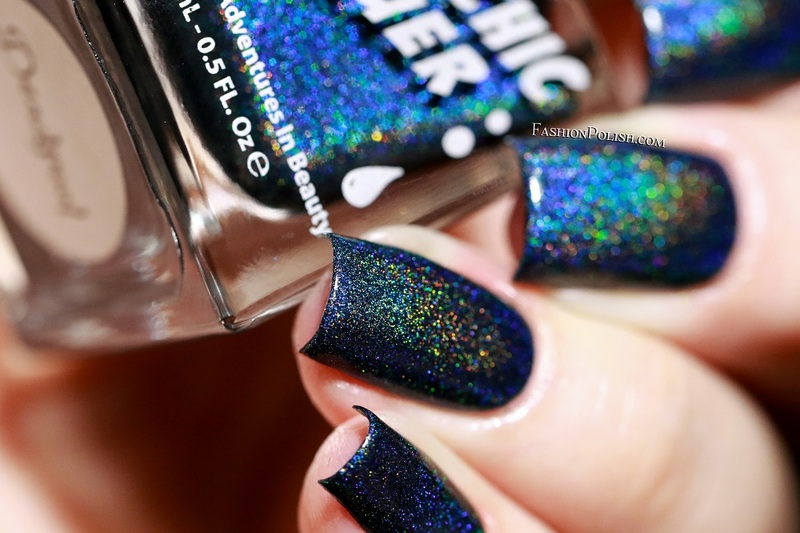 Formula was similar to Wonderwall and slightly thinner than the rest of the collection, making it a 1-2 coater. 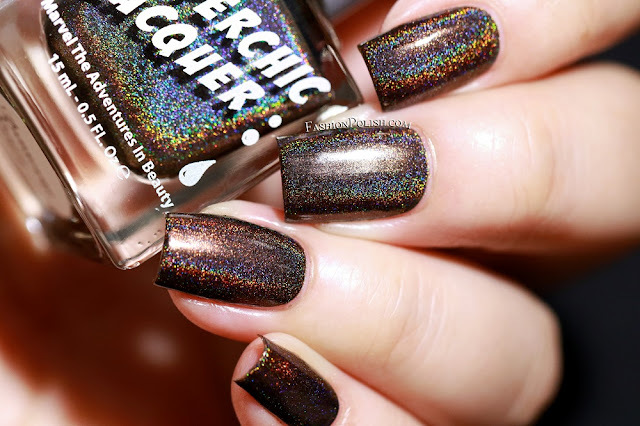 I used 1 coat in my swatches. 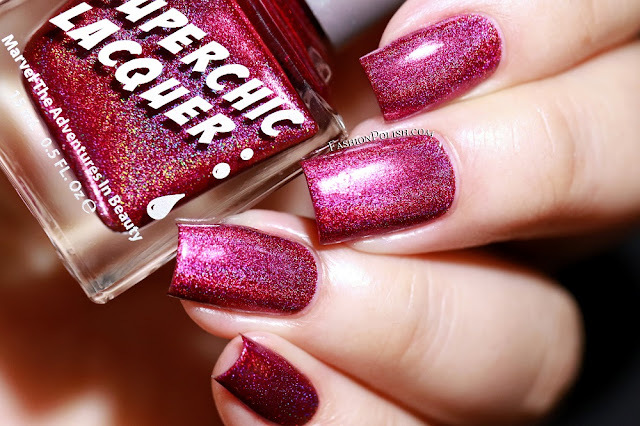 Trap Queen is a hot raspberry linear holo with a lot of depth, dimension and glow! 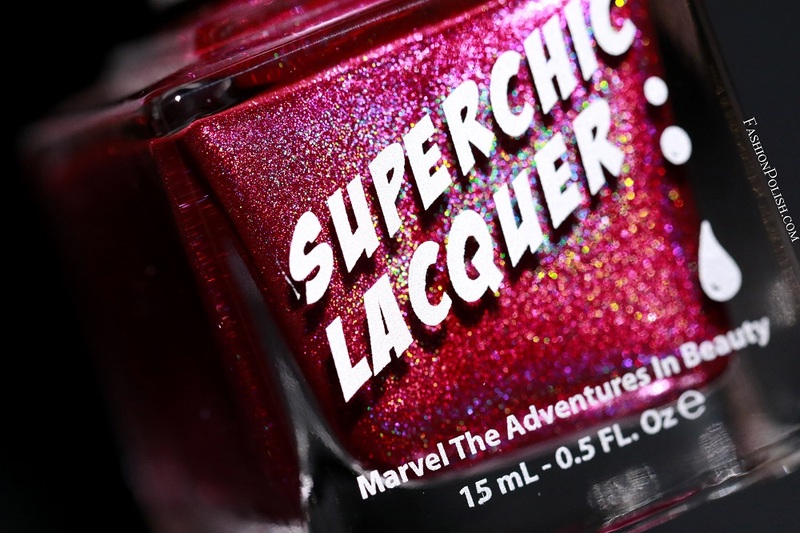 I used one, single, perfect coat. Zombie Crush is a blackened blood red-purple linear holo. Butter-smooth application and an easy one-coat coverage. 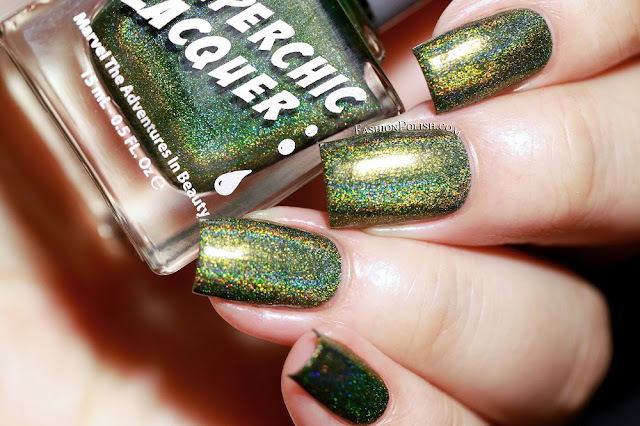 Awkward Turtle is an olive green linear holo. A very unusual yet beautiful shade of green. 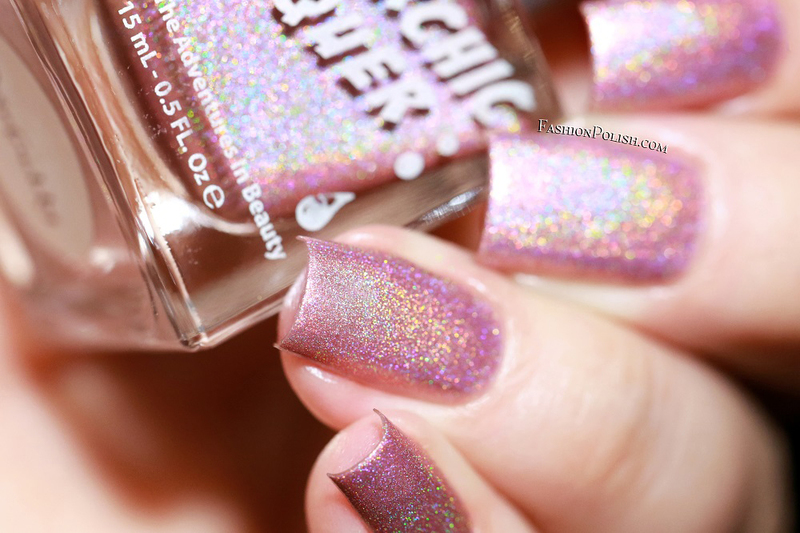 No surprise here, this is another easy one-coater. 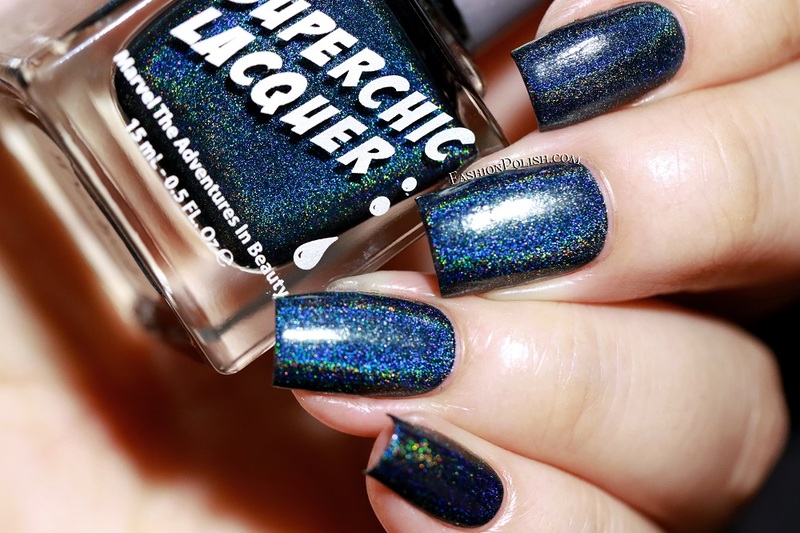 Deadpool is a deep blue linear holo with hints of teal. 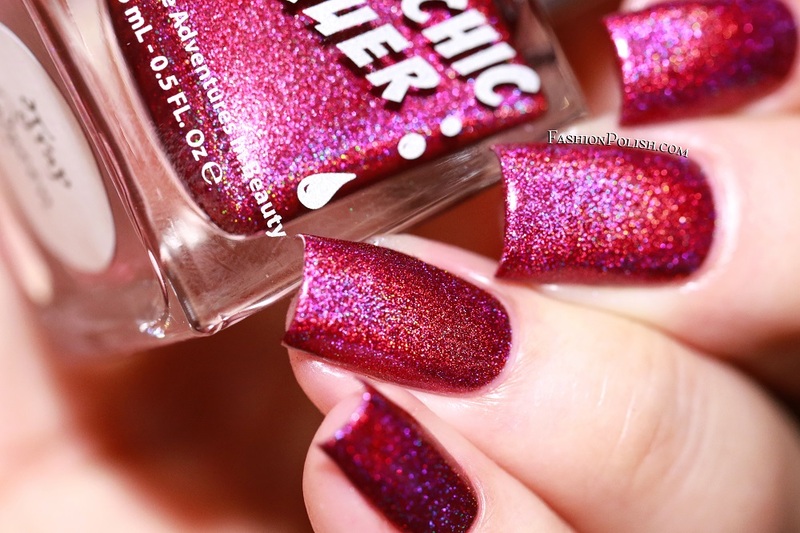 I feel like I'm repeating myself a lot today but application was, again, simply effortless. 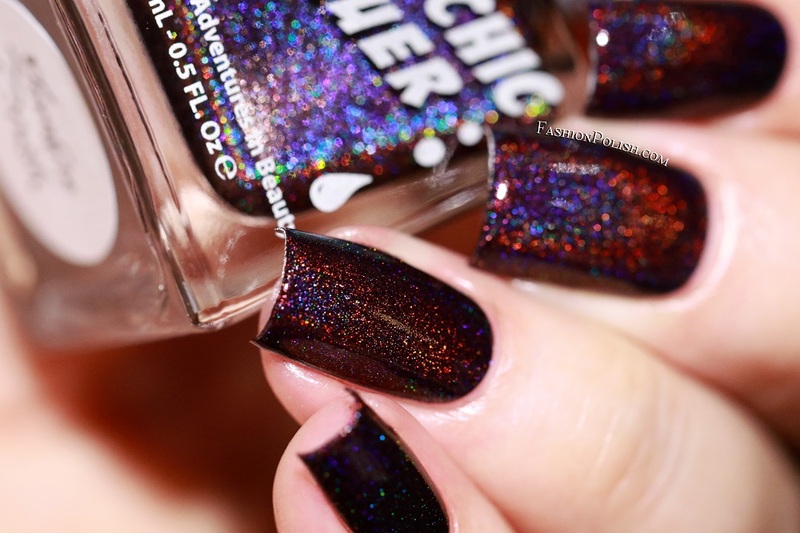 I used 1 easy coat for complete coverage. I'm in loooove with this collection. 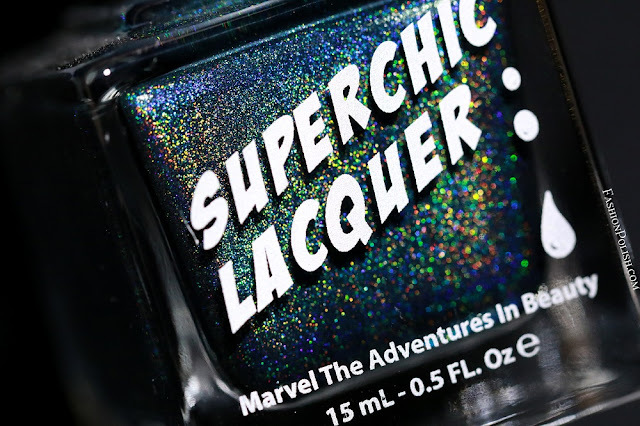 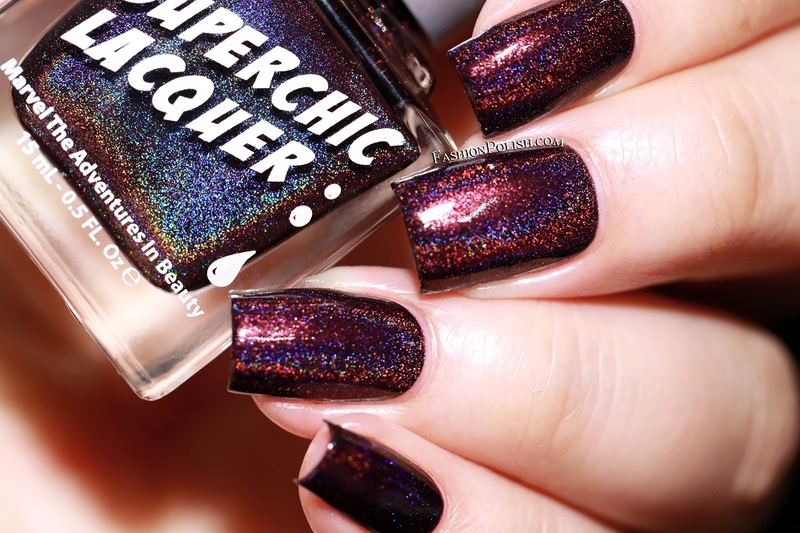 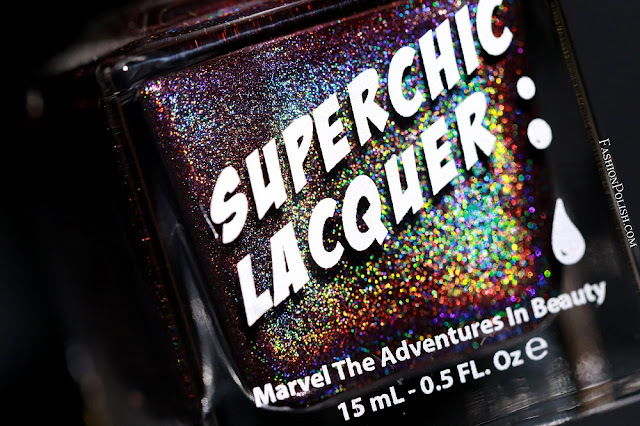 Vivid colors with an intense linear holo effect and perfect one-coat formulas, if you haven't tried any Superchic Lacquer holo, I have no doubt that you will absolutely LOVE them too! 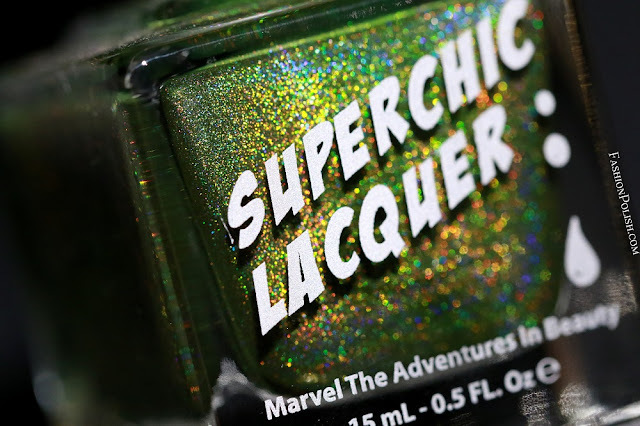 My top picks : Trap Queen, Zombie Crush and Deadpool. The Superchic Lacquer Fall Urban Dictionary collection is launching tomorrow, Monday 09/26 at 4pm PST, online at www.superchiclacquer.com and will retail for $12 each plus shipping.